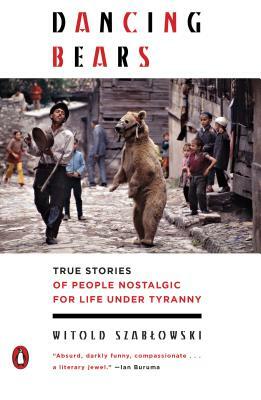 In the tradition of Ryszard Kapuściński, award-winning Polish journalist Witold Szabłowski uncovers remarkable stories of people throughout Eastern Europe and in Cuba who, like Bulgaria’s dancing bears, are now free but who seem nostalgic for the time when they were not. His on-the-ground reporting—of smuggling a car into Ukraine, hitchhiking through Kosovo as it declares independence, arguing with Stalin-adoring tour guides at the Stalin Museum, sleeping in London’s Victoria Station alongside a homeless woman from Poland, and giving taxi rides to Cubans fearing for the life of Fidel Castro—provides a fascinating portrait of social and economic upheaval and a lesson in the challenges of freedom and the seductions of authoritarian rule. Witold Szabłowski is an award-winning Polish journalist. At age twenty-five he became the youngest reporter at one of Poland’s largest daily newspapers, where he covered international stories in countries including Cuba, South Africa, and Iceland, and won awards for his features on the problem of illegal immigrants flocking to the EU and the 1943 massacre of Poles in Ukraine. His book about Turkey, The Assassin from Apricot City, won two awards and was nominated for Poland’s most prestigious literary prize. Szabłowski lives in Warsaw.